Have you maintained your personnel information in a different system or in an Excel file up till now? If so, then it’s easy to import and then export this information as an .xls file to and from the Danielle Software. 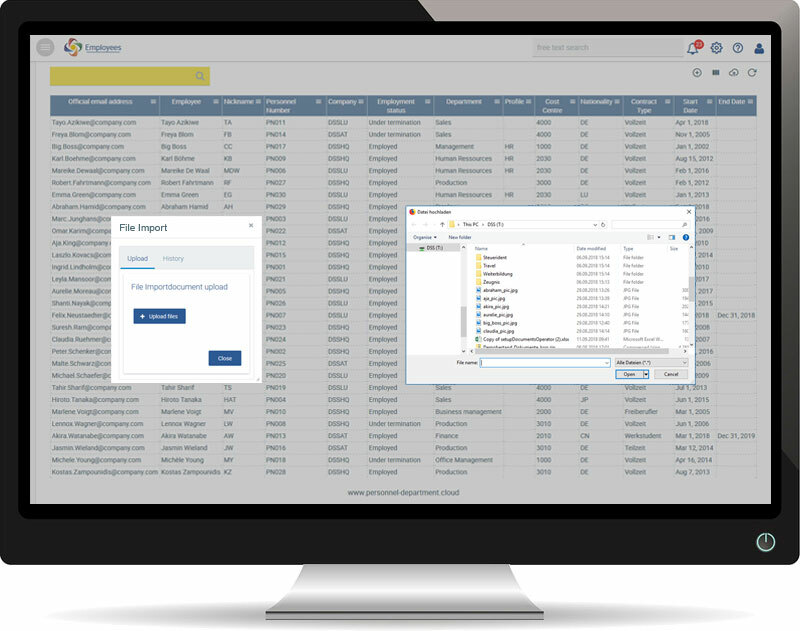 An import template, into which you can enter all your master data, contract information and other employee-related information in an Excel table for upload to the software, is available, so as the personnel files can be filled with data from the beginning. Once the personnel files have been created, it is also possible to upload the documents named in the Excel file and allocate them to the position in the file where these documents are to be found. 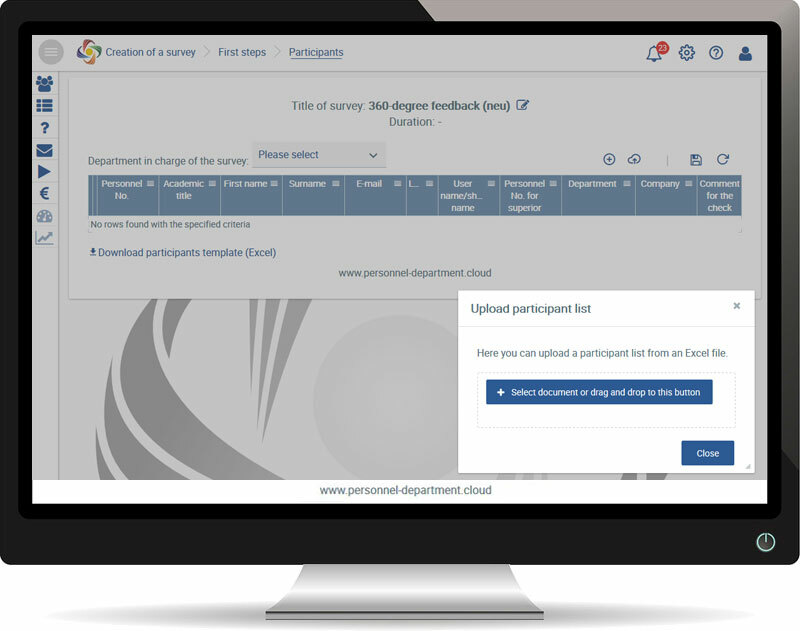 You can import your participants including mandatory information to create a 360-degree feedback. The same applies to the questions for the questionnaire. To make things easier, you can download sample templates in advance and fill them with the information required. You can enter the periods of absence for the whole year and then start with the current status for your staff. 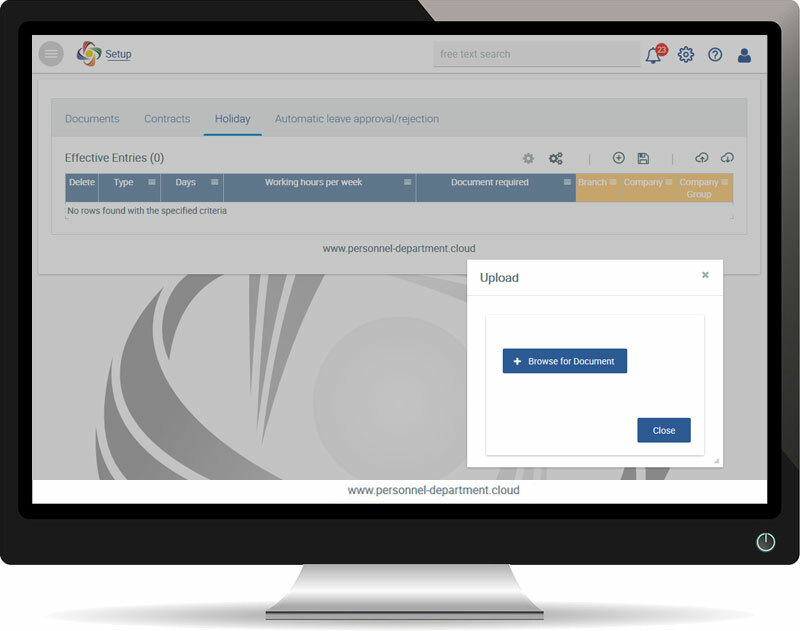 Once the data have been imported, your employees can use the chat function right away to ask about their holiday situation or future dates for leave as well as applying for days off which can then be approved of directly, depending on the rules specified. Of course, it is also possible to export the current holiday status as an .xls file.